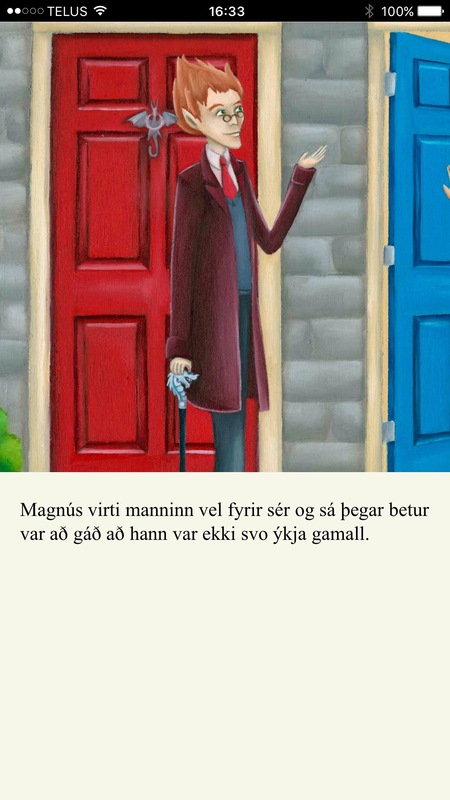 You may or may not know this, but last year my mother, Bergljót Baldursdóttir, and my sister, Brynhildur Jenný Bjarnadóttir, published a children’s book in Icelandic, Von be don, Magnús og Malaika leysa málið. It’s been a long term passion project of theirs to put together an illustrated story for kids that celebrates diversity, bilingualism, and the multicultural nature of dragon mythology (every culture has a dragon story). The support they have received for this book has honestly been astounding. 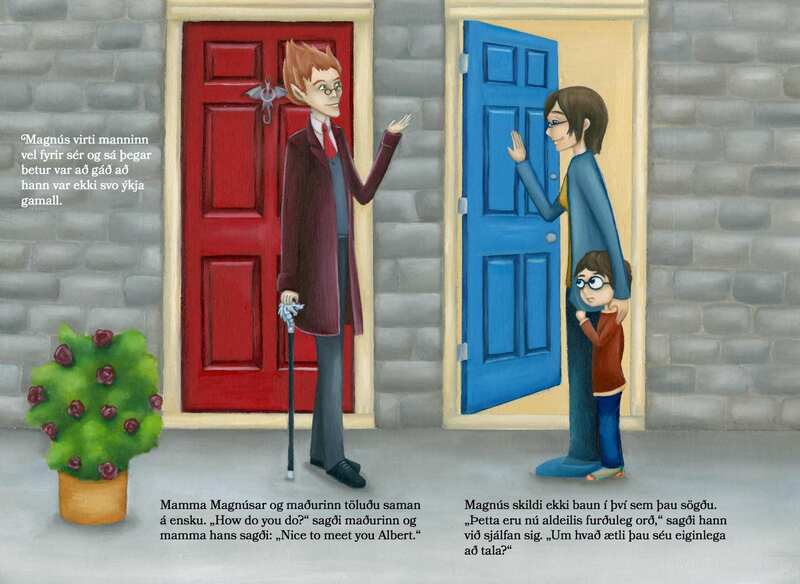 Móðurmál, Iceland’s Association on Bilingualism went above and beyond the call of duty in their help. The Icelandic National Broadcasting Service commissioned a radio documentary about the language struggle of my uncle Magnús, whose emigration as a child to the United States was one of the story’s big inspirations. Many funds recognised the relevance of the book’s message so the work was largely financed with grant money. One of those funds, The Educational Materials Developement Fund, gave us money to do an ebook. They didn’t give us the money to do just any old bog-standard ebook or PDF. Nor did they give us the money to do a singing and dancing app either. What we pitched to them was a focus on reach—getting a story previously authored as a large format fixed-layout design out to as many Icelandic speakers as possible. That meant supporting desktops, phones, tablets, or whichever device people have. Which means that it pretty much has to be on the web. The project we presented was a collaboration between a technical person (me) and the illustrator/designer (Jenný) to figure out approaches to adapting a fixed layout work to the web in a manner that scales down to phones. The opportunity was to treat the digital version as a creative derivative work as opposed to a replica. The goal is to maximise reach and access, not revenue—which is a goal shared by many in the educational publishing field. The business model, even though it isn’t an absolute priority (which would be teaching parents and children about acquired bilingualism and dragons) is to use the free web-based book to promote print sales. It isn’t flashy and doesn’t contain any gimmickry or glitter. We present the story and let the images and writing carry the experience. The adaptation process: how we decided to break down and rework the images. Pagination or lack thereof as a creative decision. Why we didn’t go for a singing-dancing Single-Page web App and instead opted for fairly old-fashioned web tech. Ongoing work and future possibilities. And finally, I might write a bit about some of the decisions that were made in the creation of the print original. Most importantly, this is only the initial version. Part of what makes the involvement of organisations such as Móðurmál so exciting when coupled with the broad reach of a website is the ability to get feedback directly from the target audience and iterate towards their needs. Hopefully, over the next few weeks and months, we will be able to present the Educational Materials Fund with some clear advice and lessons we have learned on the problem of distributing educational, illustrated content to Icelandic kids and their parents.